Magellan sees tougher rule for lead mine (0) October 4, 2011 Magellan Metals is likely to see tougher environmental conditions for its Wiluna lead mine following the release of the EPA’s draft recommendations. Tax forum begins but MRRT and carbon tax stay off agenda (0) October 4, 2011 Business, union, and community representatives will meet in Canberra this week for the Government’s tax forum to discuss the recommendations from the Government’s Henry Review. 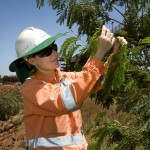 BHP acquires HWE’s Pilbara business (0) October 4, 2011 BHP Billiton has finalised the acquisition of Leighton Holding’s HWE Mining iron ore business in WA’s Pilbara. 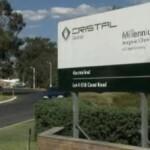 Aditya Birla Mount Gordon fined for enviro breaches (0) October 4, 2011 Aditya Birla’s Mount Gordon mine has been fined for failing to comply with orders for it to take actions to improve environmental management problems. Tinkler sells Maules Creek stake for $370 million (0) October 4, 2011 Billionaire Nathan Tinkler’s Aston Resources yesterday announced plans to sell a ten per cent stake in the Hunter Valley Maules Creek coal project for $370 million. 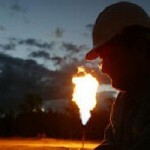 Coal miner fined for dangerous actions (0) October 4, 2011 A North Goonyella coal mine site supervisor has been fined for turning off a methane sensor on an underground LHD. BMA president speaks out over union claims (0) September 30, 2011 BMA president Stephen Dumble says the mining union is guilty of “scaremongering” employees and the public over its negotiations with its 3,000 Bowen Basin workers. BHP tips jobs bonanza (0) September 30, 2011 BHP Billiton has predicted Australia’s resources industry will need an extra 170,000 workers in the next five years. 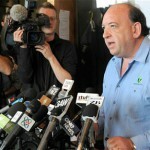 Pike River CEO to leave company (0) September 30, 2011 Peter Whittall, CEO of Pike River Coal, will leave the company. ‘Murder at sea’ allegation over Aussie oil death (0) September 30, 2011 A family lawsuit is alleging Fremantle-based Mermaid Marine’s actions were “tantamount to murder at sea” following the death of an Australian oil worker in the Gulf of Mexico. Margaret River coal miner told to detail enviro impact (0) September 30, 2011 The West Australian mining warden has ordered Western Coal to provide details of its impact upon aquifers for its Margaret River exploration projects. 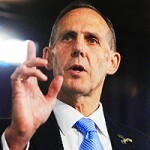 Brown supports ‘watered down’ mining tax (0) September 30, 2011 Greens leader Bob Brown has put his support behind the Mineral Resources Rent Tax, only because it is better than nothing, he says. Australia in top ten for global mining (0) September 29, 2011 Australia has been voted the 7th best country in the world to mine, according to a global survey. No coal stockpile plans for Louisa Point (0) September 29, 2011 North Queensland Bulk Ports says it has no plans to stockpile coal at Louisa Point and will instead focus on infrastructure at Dudgeon point. Miner killed at Didipo project (0) September 29, 2011 A miner has been killed at OceanaGold’s Dipdipio project in the Philippines. 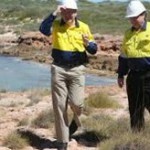 Miners breaching environmental conditions, Murphy says (0) September 29, 2011 Western Australian Auditor General Colin Murphy says he has concerns that mining companies may be getting away with breaching environmental and heritage conditions. Orica Kooragang Island leak investigation close to completion (0) September 29, 2011 An investigation into the leak of hexavalent chromium at Orica’s Kooragang Island facility is expected to finish this month. 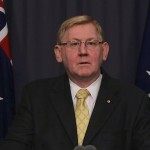 No mining tax on gold, Ferguson says (0) September 29, 2011 Gold will not be included under the mining tax, Federal resources minister Martin Ferguson says. 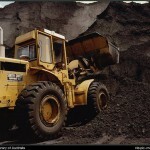 Mining union throws weight behind carbon tax (0) September 29, 2011 Mining workers in the Hunter Valley do not believe the job scare campaign and fully support the carbon tax, according to the head of Australia’s mining union. Qantas expands Queensland FIFO services (0) September 28, 2011 Quantaslink has announced plans to base an additional two Boeing 717 jets in Brisbane to cope with Queensland’s mining boom. 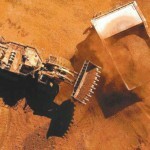 BHP bullish on iron ore despite investor worries (0) September 28, 2011 BHP Billiton executives say they are still confident of strong demand for their iron ore despite investor fears of a softening outlook for the mineral. Palmer strikes a deal for Pilbara iron ore (0) September 28, 2011 Queensland billionaire Clive Palmer says he has agreed on a structure to develop Australasian Resources’ Balmoral South iron ore project in the Pilbara. 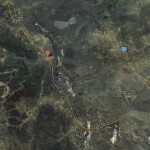 Governments ramp up moves for wider mining bans (0) September 28, 2011 Upper Hunter mayor Lee Watts has told miners the region is “not open for business” after the council introduced a mining exclusion zone for most of the shire. Orica leaks mercury vapours (7) September 28, 2011 Orica has leaked higher than allowed levels of mercury vapour into the air from its Botany plant. 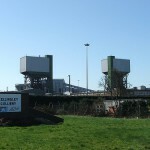 Miner killed in British underground coal mine collapse (0) September 28, 2011 One miner has died and another was trapped following a roof collapse at one of the UK’s deepest coal mines. 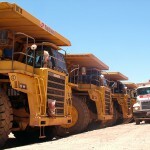 WA miners see spike in pay (0) September 28, 2011 New figures have shown a massive jump in pay for West Australian miners. Latest Indonesia helicopter crash kills two miners (0) September 27, 2011 A helicopter chartered by US giant Newmont Mining has crashed in central Indonesia killing two people. More coal mine job cuts (0) September 27, 2011 Ashton Coal has let another 15 miners go at its open cut mine near Singleton. WA increases mine safety inspectors (0) September 27, 2011 Western Australia has boosted the number of resources safety inspectors, appointing an additional 27 new inspectors. 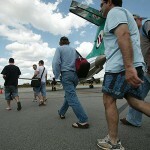 Doctors claim FIFO workers “bring diseases” (0) September 27, 2011 Doctors have warned that fly-in fly-out workers are straining medical services and introducing and spreading diseases in mining communities. 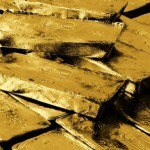 Rio ups Ivanhoe stake to 49 per cent (0) September 27, 2011 Rio Tinto has upped its share in Canada’s Ivanhoe Mines another half a percentage point to 49 per cent for $72.6 million. 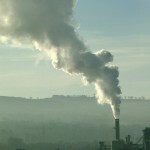 Coal industry slams carbon tax (0) September 27, 2011 Thousands of jobs and billions of dollars of investment in coal mines and related businesses are at risk from the carbon tax, according to the Australian Coal Association. QLD increases mine safety rates (19) September 27, 2011 Queensland mines have increased safety on site, managing to cut down overall lost time injury frequency rates. WA warned against local content mandates (0) September 26, 2011 A report by the Western Australian Department of Commerce says WA would break World Trade Organisation rules if it imposed local content quotas on mining projects. Tinkler doubles Newcastle coal plans (0) September 26, 2011 Nathan Tinkler has doubled the projected size of the coal-loader he wants built on the former BHP steelworks in Mayfield. Resources Fuel Our Growth [Blog] (0) September 26, 2011 Federal Resources and Energy Minister Martin Ferguson discuss the importance of the resources sector following the release of new export figures. 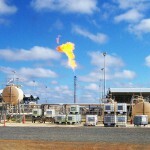 Local councils consider tighter gas control (0) September 26, 2011 Upper hunter shire councillors are today considering a wide-ranging recommendation proposing tighter controls on coalmining and coal seam gas extraction. Company develops carbon emission technology for gassy coal mines (0) September 26, 2011 Technology has been developed to remove carbon emissions from gassy coal mines. 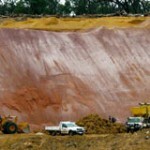 Accused mining scammer free on bail (0) September 26, 2011 The man accused earlier this month of running a mining recruitment scam in Queensland has surrendered his passport and been released on bail. Records smashed for resources exports (0) September 26, 2011 Export earnings from resources and energy reached new records in 2010/11, an increase of 9% on the previous records set during the boom of 2008/09. 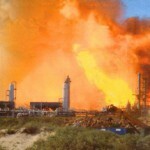 Apache faces $10,000 fine for $3 billion damge (0) September 23, 2011 The American company behind the 2008 Varanus Island explosion that caused $3 billion damage to Australia’s economy is facing a fine of only $10,000. QRC dismiss local content manufacturing calls (0) September 23, 2011 The Queensland Resources Council has dismissed calls for government intervention and mandated local manufacturing content levels. 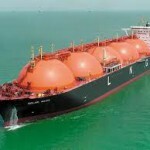 Aboriginal MP to sue Woodside opposition over racial slur (0) September 23, 2011 Aboriginal MP Carol Martin said she will sue the people that distributed newsletters labelling her a “coconut” after backing Woodside’s $30 billion LNG development in WA. WA is more than a foreign owned quarry: Greens (0) September 22, 2011 WA Premier Colin Barnett’s new business deal with China opens Australia to further foreign exploitation of resources and infrastructure, according to Greens senator Scott Ludlam. 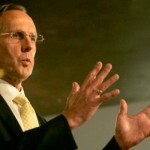 Pay rises all-round for BHP top brass (0) September 22, 2011 BHP Billiton chief executive Marius Kloppers scored an 8.5 per cent pay rise last financial year to $11.37 million. Miner tests low impact gold extraction process (0) September 22, 2011 Minotaur Exploration has announced it will conduct field trials for a new CSIRO in-situ gold processing system that does not require cyanide. 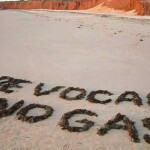 Environmental CSG fears escalate (0) September 22, 2011 The coal seam gas industry could extract 300 gigalitres a year from groundwater systems for 25 years, according to the National Water Commission. Gov to expand FIFO co-ordinator program (0) September 22, 2011 The Gillard Government has announced it will expand its fly in fly out pilot program. 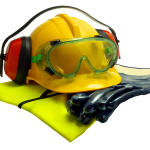 Company fined after workers injured in acid spill (0) September 22, 2011 A West Australian chemical plant has been fined $90 000 after four workers were injured in an acid spill. 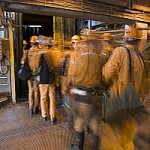 Sandvik wins Cadia contracts (0) September 22, 2011 Sandvik has won a contract to supply the Cadia mine with 14 LHDs. 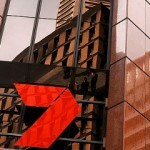 Seven Group bid for National Hire (0) September 21, 2011 The Seven Group has made a takeover offer for the National Hire Group. Rio Tinto upgrades Kennecott copper reserves (0) September 21, 2011 Rio Tinto has upgraded its copper reserves by 20 million tonnes at its Kennecott Utah Copper mine. Singleton Council rejects miners’ road bid (0) September 21, 2011 Singleton Council has unanimously rejected Coal & Allied’s proposal to close a road to extend its operations. 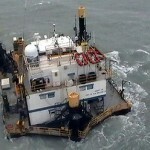 Chevron and Wooside contractors sue over ‘comedy of errors’ (0) September 21, 2011 Chevron and Woodside Petroleum are facing further delays in completing their respective Pluto and Gorgon liquefied natural gas projects following legal action from their contractors. 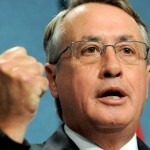 Wayne Swan wins finance minister of the year (0) September 21, 2011 Treasurer Wayne Swan has been named Euromoney’s finance minister of the year for his handling of the economy through and beyond the financial crisis. BHP provide massive grant for health initiatives (0) September 21, 2011 BHP Billiton has announced a $25 million program to improve the health of women and children in Africa. Mining contractor killed in car crash (0) September 21, 2011 A 32 year old coal mine contract was killed in Queensland yesterday morning when his car collided with a cattle truck. Alkane inches closer to Dubbo mine development (0) September 20, 2011 Alkane Resources has inched another step closer to developing one of the world’s largest zirconium resources after releasing results of a definitive feasibility study on its deposit near Dubbo. 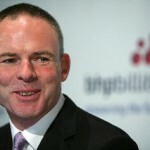 Ivanhoe Australia appoint new CFO (0) September 20, 2011 Ivanhoe Australia has appointed Brendan Gill as its new chief financial officer. 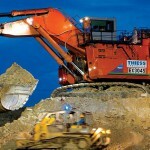 Thiess wins Fortescue Solomon contracts (0) September 20, 2011 Thiess has won a $100 million contract for the Phase One development of Fortescue’s Solomon Hub project. Strikes continue on BMA coal mines (0) September 20, 2011 Miners at BMA coal mines carried out strikes for a full shift yesterday. 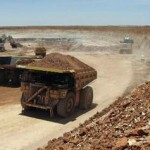 South Australia set for new uranium mine (0) September 20, 2011 South Australia looks set to get a new uranium mine south of Whyalla after positive results from a study by ASX-listed Uranium SA. 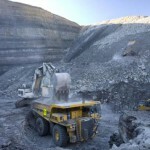 AMEC labels mining tax discriminatory (0) September 20, 2011 The Association of Mining and Exploration Companies say the latest draft of the mining tax is still discriminatory and has not addressed the issues. 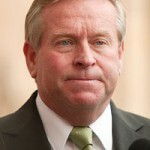 Barnett says mining tax angers China (0) September 20, 2011 China is angry at the federal government over its proposed minerals resource rent tax, according to Western Australian premier Colin Barnett. Greenpeace threatens BP over Bight exploration (0) September 19, 2011 Greenpeace says BP is asking for trouble by exploring the Great Australian Bight in search of oil. Hunter mining land uses policy draft released (0) September 19, 2011 The Muswellbrook Shire Council has released a draft policy governing mining land use and how to balance its position in the community. Thousands march over Sydney CSG exploration (0) September 19, 2011 Thousands of people gathered in Sydney’s inner west yesterday to call on NSW premier Barry O’Farrell to strip coal seam gas miners of their licence to drill. Riches flow for Rinehart after GVK deal (0) September 19, 2011 Billionaire heiress Gina Rinehart just got a lot richer thanks to the sale by Hancock Prospecting of a majority share in Queensland thermal coal assets to GVK for $1.2 billion. Greens push for tougher mining tax (0) September 19, 2011 The Greens say they will be pushing for changes to Labor’s mining tax to make it a better deal for small businesses and even worse for mining companies. Mount Isa mining memorial (0) September 19, 2011 Close to 400 people are expected to attend Queensland Miners Memorial Day services in Mount Isa today. Mining training hubs launched (0) September 19, 2011 The Mining Industry Skills Centre has launched the Accelerated Skilling Hubs (ASH) to rapidly train workers for the industry. Trapped coal miners confirmed dead (0) September 19, 2011 The death of four coal miners who were trapped underground in a flooded Welsh coal mine has been confirmed. Barnett sitting on ‘critical’ Port Hedland report (0) September 16, 2011 The Western Australian government is sitting on a “critical” report on the potential to expand the capacity of the minerals port at Port Hedland. From mine to wine: creative uses for old holes in the ground [Blog] (0) September 16, 2011 Jessica Drake looks at creative ways to rehabilitate old mines. 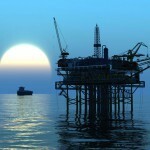 Resources earnings hit new high (0) September 16, 2011 Export earnings from resources soared 27 per cent to a record $175 billion last financial year, according to a new report from the Bureau of Resources and Energy Economics. WA mining jobs grow as manufacturing haemorrhages staff (0) September 16, 2011 Western Australia’s manufacturing sector is losing nearly 150 jobs per day as workers chase high wages in mining. Pike River chiefs ignored fire threats (0) September 16, 2011 Footage of a fire burning at the Pike River mine’s entrance has been shown as the royal inquiry was told this incident was preventable. Coalminers won’t be home for Christmas (0) September 16, 2011 BHP Billiton has threatened to take legal action against union groups over their plans to launch an advertising campaign against the company. Four coal miners trapped [Video] (0) September 16, 2011 Rescue workers are frantically trying to reach four miners trapped underground in a flooded Welsh coal mine. 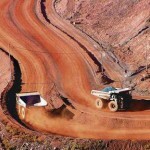 Rio forks out $800m on Pilbara expansions (0) September 16, 2011 Rio Tinto has committed to spend over $800 million on its Pilbara operations expanding power and fuel supplies. 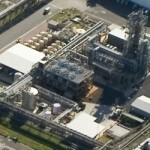 Orica still battling to contain chemical leaks (0) September 15, 2011 Explosives company Orica is still battling to contain the environmental effects from arsenic leaks at its Kooragang Island site. $1 million lawsuit filed against Xstrata over Mount Isa lead poisoning (0) September 15, 2011 Townsville mother Daphne Hare has launched a $1 million lawsuit against Xstrata Mount Isa Mines, alleging her daughter suffers from lead poisoning. Lanholders lock gate to Bowen Energy exploration (0) September 15, 2011 A group of QLD landholders have locked their gates to mining exploration by Bowen Energy. 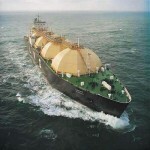 Clough win $600m LNG contract (0) September 15, 2011 Clough has been awarded the infrastructure construction contract for Santos’ GLNG project in the Surat Basin. 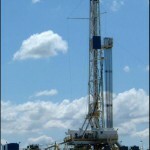 Boart launches drilling equipment financing group (0) September 15, 2011 Boart Longyear has created a new business division to provide financing for mineral exploration drilling equipment. Union launches anti-BHP ad campaign (0) September 15, 2011 The mining union has launched an ad campaign accusing BHP Billiton of trying to buy the votes of its striking Queensland workers. Coal exploration his record highs, ABS says (0) September 15, 2011 Despite uncertainty in the market, coal exploration has hit record highs, Australian Bureau of Statistics figures show. ABB wins Xstrata Ernest Henry mine contract (0) September 15, 2011 ABB will design a new ore hoisting system for Xstrata’s Ernest Henry copper mine’s underground development. Margaret River mining bans still unknown (0) September 14, 2011 Western Australian Premier Colin Barnett said he will wait for an appeal to the environmental watchdog to be resolved before legislating against mining in Margaret River. Women urged to find work in mining (0) September 14, 2011 The Queensland government is urging young women to consider a job in construction, mining, or manufacturing. Crab may halt Rio Tinto’s Cape York development (0) September 14, 2011 A crab the size of a ten cent piece might stop the development of mining giant Rio Tinto’s $900 million Cape York bauxite mine. New machine will test CSG environmental impact (0) September 14, 2011 A new machine from the University of NSW will be used by researchers to determine how coal seam gas extraction affects underground water supplies. Public warned of QLD mining scam (2) September 14, 2011 Residents on Queensland’s Sunshine Coast have been warned about a scam that guarantees a job in the mining industry if the customer pays inflated prices for a training course. Canberra wants to ‘name and shame’ miners (0) September 14, 2011 The federal government is considering naming and shaming mining companies that do not use Australian steel in their projects. QLD gas well leaking (0) September 14, 2011 Gas is leaking from a five-centimetre crack in a pipe on a Queensland coal seam gas development. Insider trading allegations levelled at Chinese mining investor (0) September 13, 2011 Hanlong Mining chief executive Steven Hui Xiao has had assets frozen and been ordered by the NSW Supreme Court not to leave the country amid allegations of insider trading. India starts sale of illegal iron ore (0) September 13, 2011 India is about to auction 25 million tonnes of illegally produced iron ore confiscated from private companies. 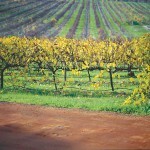 NSW Government denies resources for regions broken promise (0) September 13, 2011 Local councils are unhappy a Resources for Regions fund promised by the NSW Government to deliver $160 million to mining regions is missing from the state budget. 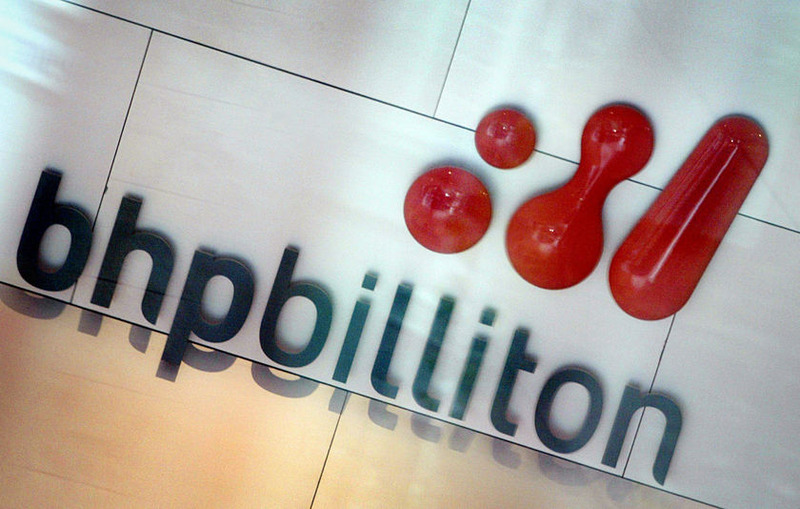 Barnett tells BHP to ‘get real’ on royalty hikes (0) September 13, 2011 Western Australian Premier Colin Barnett has threatened BHP Billiton will not be able to expand its iron ore operations unless it agrees to pay the state government’s higher royalties. QLD coal miners recover slower than expected (0) September 13, 2011 Returning coal operations to full production following the Queensland floods is taking longer than expected and could stretch well into 2012, according to economists. French nuclear facility explosion (0) September 13, 2011 At least one person is dead and four injured following a blast at a nuclear facility in the south of France. False hope not raised over Pike River miners survival, police say (0) September 13, 2011 False hope was not given over the survival of the miners who died in the Pike River tragedy last year, the police officer in charge of rescue operations has said. A few AIMEX highlights (0) September 12, 2011 A visitor to AIMEX filmed some of the highlights of the exhibition. Farmers want right to block land access (0) September 12, 2011 NSW farmers want the state government to give property owners the right to refuse mining companies access to their land. Gillard attends Cessnock mining memorial (0) September 12, 2011 Prime Minister Julia Gillard has attended the 16th annual memorial service at the Jim Comerford Memorial Wall at Cessnock to remember miners who have lost their lives while working. 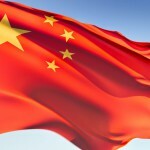 Chinese businesses warn of investment strike (0) September 12, 2011 Chinese business leaders have threatened to stop investing in Australia following Treasurer Wayne Swan’s decision to impose a two-stage approval process for mining and exploration. Rio invests in Pilbara iron ore water supply (0) September 12, 2011 Rio Tinto will invest more than $300 million to ensure a sustainable water supply for its Pilbara iron ore operations. BMA strikes resume as negotiations fail (0) September 12, 2011 Workers at three BHP Billiton Mitsubishi Alliance mines in Queensland have resumed strikes after failing to reach an agreement with management over pay and work conditions. QLD blasting seminars begin tomorrow (0) September 12, 2011 The Queensland Government will host seminars to teach coal miners about its new guidelines for better management of blast fume events during blasting. Barnett threatens Griffin Coal exports (0) September 12, 2011 WA Premier Colin Barnett has threatened to stop coal exports from Indian energy giant Lanco’s Griffin Coal mines if it abandons a key domestic supply contract. Asbestos forces coal port to cease work (0) September 9, 2011 Construction workers at the Newcastle Coal Infrastructure Group’s (NCIG) coal loader expansion site were sent home yesterday due to asbestos on site. Lack of local content blamed for rise in WA unemployment (0) September 9, 2011 A lack of local content contracts awarded to WA businesses has been blamed for a sudden jump in unemployment in the state. Last day of AIMEX today (0) September 9, 2011 Today is the last day for you to see what the exhibitors have on stand at AIMEX. 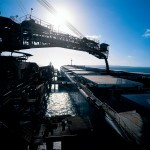 Miners record spike in HIV (0) September 9, 2011 Doctors are reporting an increase in the number of FIFO workers contracting HIV and other sexually transmitted diseases. 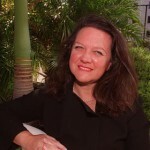 Gina Rinehart sued by daughter (0) September 9, 2011 Billionaire iron ore heiress Gina Rinehart is being sued in the NSW Supreme Court by her daughter Hope Welker. 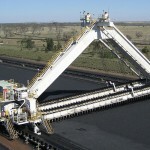 Anglo declines bid against Macarthur Coal (0) September 8, 2011 After studying its finances Anglo American has decided against launching a $4.9 billion bid for Macarthur Coal. Mining to suffer under Federal and State budget fights (0) September 8, 2011 The NSW Minerals Council have called for the Federal and State Government to urgently put their differences aside and discuss the impacts of the carbon tax and state royalty changes. 2011 Australian Mining Prospect Award Winners (1) September 8, 2011 The winners of the 2011 Australian Mining Prospect Awards have been announced. 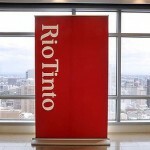 Rio boss says Labor not delivering on carbon tax (14) September 8, 2011 Rio Tinto Australia managing director David Peever has criticised the Government for failing to deliver on the carbon tax principles it agreed on with business leaders. 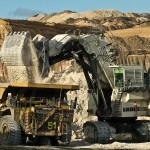 Mining companies pay less tax: Australia Institute (0) September 8, 2011 The debate over the mining industry’s tax bill heated up today, with a new Australia Institute survey claiming the sector pays less tax than others. 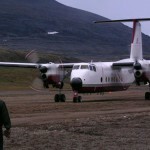 AIMEX continues – DMS Preview [Video] (0) September 7, 2011 We hear from Diversified Mining Services’ (DMS) Darren Anderson, and about Manufacturing industry envoy Peter Beattie. Dam and pipeline proposals for Galilee Basin (0) September 7, 2011 The Queensland government is looking at private sector proposals for the $4 billion development of a new wharf at Abbot Point and dam in central Queensland. Incitec Pivot flags acid plant (0) September 7, 2011 Explosives manufacturer Incitec Pivot has put forward a potential $400 million acid plant at Phosphate Hill, south east of Dajarra, in Queensland. QLD Gov misled public over BMA 100FIFO, mining union claims (0) September 7, 2011 The Construction Forestry Mining and Energy Union has accused the State Government of misleading the public on its decision of BMA’s 100% FIFO application at the Caval Ridge Mine. How Chile taxes their mining boom (0) September 7, 2011 The ABC’s Lateline program spoke to Chile’s minister for mines, Hernan De Solminihac, to find out how Chile is handling their mining boom. 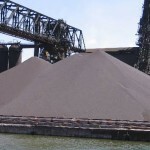 China stockpiling puts iron ore prices on shaky ground (0) September 7, 2011 Iron ore prices are set to dip next year after unprecedented stockpiling by China, according to Westpac chief economist Bill Evans. 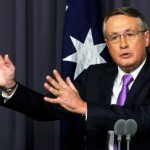 NSW funding to be cut if royalties rise (0) September 7, 2011 If NSW goes ahead with its decision to raise mining royalties the federal government will almost certainly cut the state’s infrastructure funding, Treasurer Wayne Swan said yesterday. Pike River survivor tells of ordeal (0) September 6, 2011 The Pike River royal commission resumed hearings yesterday focusing on the search and rescue operation, with survivor Daniel Rockhouse retelling his ordeal. High dust levels recorded in the Hunter (0) September 6, 2011 A series of higher than average fine particulate matter readings in Muswellbrook have again raised concerns about air quality in the region. Former BHP boss slams productivity (0) September 6, 2011 Former BHP Billiton chairman Don Argus has joined the chorus of big-business figures calling for deregulation of workplace laws to promote higher productivity. Lynas face fierce opposition to rare earths export (0) September 6, 2011 Lynas Corporation is facing opposition from Australian politicians and Malaysian green groups over the transport and processing of its rare earth ores. NSW slugs miners with royalties hike (0) September 6, 2011 NSW Premier Barry O’Farrell will today follow Western Australia’s lead and increase mining royalties in the state budget. AIMEX begins today – Hyundai Preview [Video] (0) September 6, 2011 As AIMEX starts, we give you a preview of what you’ll be seeing today. CCS Institute opens first office in Asia (0) September 6, 2011 The Global Carbon Capture and Storage (CCS) Institute will be able to accelerate the development of carbon capture technology following the opening of an office in Tokyo, Japan. AIMEX begins today – Caterpillar Preview [Video] (0) September 6, 2011 As AIMEX starts, we give you a preview of what you’ll be seeing today. Kiwi creates ‘adult sandpit’ in Las Vegas (0) September 5, 2011 A New Zealand businessman has created a massive ‘sandpit’ in Las Vegas where adults can control bulldozers and excavators to move around dirt, rocks, and tyres for fun. Low-skilled migrant numbers to rise (22) September 5, 2011 New guidelines released by the Immigration Department will allow mining and infrastructure companies to hire low skilled migrants who were previously denied permission to work in Australia. Longwall build begins at Narrabri coal mine (0) September 5, 2011 Delta SBD has begun the surface build of the longwall at Whitehaven Coal’s Narrabri coal mine. Xstrata megamine faces court (0) September 5, 2011 Xstrata’s $7 billion open-cut coal mine proposal was under renewed environmental scrutiny in court proceedings late last week. 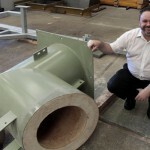 Claims of dust monitor tampering in the Hunter (0) September 5, 2011 Concerns have been raised over the veracity of air quality monitors in the Hunter Valley, with claims that some have been covered. BHP facing court over racial discrimination (0) September 5, 2011 An Egyptian-born engineer who was sacked from his job last year at BHP Billiton’s Port Hedland operation is suing the company for racial discrimination. 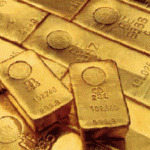 New study finds miners pay more tax (0) September 5, 2011 Mining companies are paying slightly more tax than they were three years ago, according to a new industry funded study by Deloitte Access Economics. Industry to launch coal seam gas advertisements (0) September 5, 2011 The coal seam gas industry is about to launch an advertising campaign to try and convince the public of the safety and economic benefit of gas wells. QR National signs Wiggins Island agreement (0) September 5, 2011 QR National has signed agreement to construct the $900 million Wiggins Island Rail Project to Gladstone. Decision in BMA FIFO fight (0) September 5, 2011 A decision has finally been handed down on BMA’s application for a 100% FIFO workforce at its Caval Ridge coal mine. AIMEX is only one day away (0) September 5, 2011 Reed Exhibitions Paul Baker chats about Australia’s largest mining exhibition – AIMEX, which begins tomorrow. Rinehart grabs Carabella interest (0) September 2, 2011 Billionaire mining heiress Gina Rinehart has added junior coal miner Carabella Resources to her expanding list of mining interests. Orica continues investigation into chemical spills (0) September 2, 2011 Orica officials have updated the community on the two chemical leaks last month from its Kooragang Island plant. Pike River releases final footage of miners (0) September 2, 2011 Footage showing miners secured and descending into the coal mine in caged drift runners, entering for the final time, has been released. 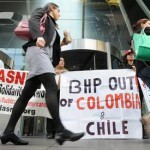 Citibank says Rio better than BHP (0) September 2, 2011 Despite its smaller profits and size, Citigroup analysts have rated Rio Tinto as a better investment than BHP Billiton. 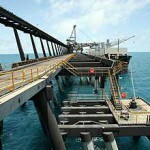 Claims coal project will destroy reef (0) September 2, 2011 A far north Queensland coal project has raised concerns that it may damage the Great Barrier Reef. Investors splurge on mining boom (0) September 2, 2011 New Australian Bureau of Statistics figures show almost $120 million a day is being invested in WA as companies race to profit from the mining boom. Lynas signs supply contract with BASF (0) September 2, 2011 Lynas Corporation has signed a long term rare earths supply agreement with BASF. Labor caucus revolt gains speed (0) September 2, 2011 Prime Minister Julia Gillard is this morning facing renewed pressure from the Labor caucus over her leadership. Injured miner awarded half million in compensation (0) September 2, 2011 Former miner Phillip Hughes has been awarded more than half a million dollars in damages after he injured himself at the North Goonyella coal mine. South Australia unveils strategy for tech and engineering skill-up (0) September 1, 2011 SOUTH Australian Science and Information Economy Minister Jay Weatherill, the next Premiere of SA, has unveiled a strategy to skill up people in science, technology, engineering and mathematics (STEM). 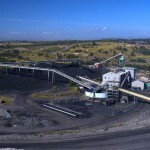 New Hope cuts profit forecasts (0) September 1, 2011 Coal miner New Hope Corporation has cut its profit forecasts on the back of delays due to the Queensland floods. LNP annouces ‘roads to resources’ (0) September 1, 2011 The Liberal National Party has today announced plans for a new infrastructure program designed to improve roads in the state’s income-producing regional areas. Rio Tinto’s Walsh slams manufacturing ‘myth’ (0) September 1, 2011 Sam Walsh has lashed out at claims the mining industry does not support Australian manufacturing, labelling it a myth. BHP makes $367m Newcastle expansion (0) September 1, 2011 BHP Billiton has approved its share of a $367 million investment for the final stage of the Newcastle Coal Infastructure Group’s coal facility in Newcastle. Environmental groups rethink JPP protests (0) September 1, 2011 Environmental groups have stepped up their attack on the $35 billion James Price Point development, taking the fight to Woodside’s financers and international customers. 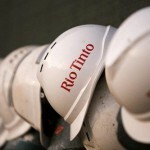 Rio Tinto appoints Chris Lynch to board (0) September 1, 2011 Rio Tinto has appointed former BHP Billiton CFO Chris Lynch to its board. 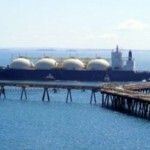 Wheatstone project wins Government approval (0) August 31, 2011 The WA state government has given final environmental approval for the $25 billion Wheatstone liquefied natural gas project in WA’s northwest. Libs and Labor facing caucus revolts over manufacturing (0) August 31, 2011 Julia Gillard and Tony Abbott are both facing possible caucus revolts this morning over their handling of the manufacturing industry. Queensland Government gives free legal aid to landholders (0) August 31, 2011 The Queensland government is investing $300,000 to provide free legal aid to central Queensland landholders in their dealings with resource companies over land access and compensation. BHP supports new cross border arbitration rules (0) August 31, 2011 BHP Billiton is supporting the introduction of new arbitration rules for cross border and international commercial disputes. Greens protest Bowen coal mine (0) August 31, 2011 A group of Greens activists gathered together yesterday to protest against Adani Enterpises Carmichael Coal and Rail project in the Bowen Basin. Hunter gets new air quality monitors (0) August 31, 2011 Four new air quality monitors have been set up in the upper Hunter Valley. Red Dog tops box office (0) August 30, 2011 Red Dog has this week certified itself as an Australian blockbuster after taking over $10.5 million in total at the Australian box office. Twenty two trapped miners rescued (0) August 30, 2011 Twenty two Chinese coal miners have been rescued after a week trapped in an illegal underground flooded mine. Rio push for nuclear power in WA (0) August 30, 2011 Rio Tinto has urged WA Premier Colin Barnett to consider nuclear energy as part of a future solution to supplying the state’s electricity. Claims mining will receive too much carbon compo (0) August 30, 2011 The Grattan Institute has claimed that the mining industry is receiving too much compensation under the carbon tax. One week until AIMEX begins (0) August 30, 2011 There is now less than a week until Australia’s largest mining exhibition starts. Greens to keep pressure on Orica (0) August 29, 2011 The NSW Greens say they will continue to focus political pressure on the Orica spill once attention moves to Parliament budget sessions next week. 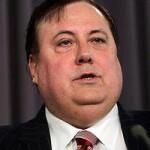 Palmer clarifies CSG comments (0) August 29, 2011 Clive Palmer has ‘clarified’ his recent statements on coal seam gas. 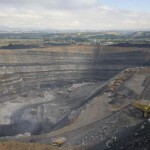 Bathurst receives approval for NZ coal mining (0) August 29, 2011 Bathurst Resources’ Buller Coal has received environmental approval for its Escarpment Mine Project in Westport, New Zealand. Nikki Williams to take top coal association job (0) August 29, 2011 Nikki Williams will leave the NSW Minerals Council in October to begin her new role as CEO of the Australian Coal Association. 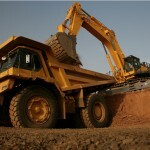 Caterpillar announces further expansion in China (0) August 29, 2011 Caterpillar has announced it will expand operations in China, with a new proving ground and large wheel loader manufacturing facility. Shell Diesel Extra to improve fuel efficiency for Australian mines (0) August 26, 2011 Shell has introduced its Shell Diesel Extra to approved customers’ in mines across Australia, to help the mining sector improve fuel efficiency and reduce maintenance costs. Miners working with community in Upper Hunter (0) August 26, 2011 In a bid to overcome the differences between mining companies and local communities, action plans will be put in place to address issues in the Upper Hunter.